Samsung starting to make the first flexible AMOLED displays this quarter? Remember Samsung promised us devices with flexible AMOLED displays this year? We might well get those device - the Korean company is now said to be starting production of flexible display panels this quarter, according to local news outlet DDaily. Samsung earlier revealed those new panels will be named Youm, and now we know they will be very thin at just around 0.6mm. That’s nearly three times less than current panels that are 1.8mm thick. Interestingly, it seems that the first production run will have the displays covered with a piece of old rigid, inflexible glass. So, yes, we might have devices with flexible displays, but not really. The displays would still be protected by the rigid glass so you won’t be able to actually play around with the flexible part. So while this might be coming in 2012, the truly flexible screens that you can play with on devices are expected to arrive later, maybe in 2014. WoW.It can be on Note2. IMO... this is just a gimmicky product. Although, I do think it is very innovative. We may not see the real benefits right now, but this is huge. Imagine when they can improve the strength of the film. It is innovative. The possibilities are unlimited but it seems your mind is limited and this is not a gimmick. Made of brushed aluminium, glass etc these are real gimmicks. @PackMan My mind is not limited... I can see the possibilities and I stated that this was very innovative. I just think that in its current state its just a gimmick. I've seen video of flexable screens, when bent, would perform different actions.... seems cool but in my opinion kind of useless. This will be a fad much like the old nextel push-to-talk. Yea... you still don't get it lol no gimmick at all, its new technology that can be implemented through out. I guess the invention of paper is also a gimmick, we should have kept writing on sheets of stone. Am I going Crazy!! I am not saying that the technology is not innovative or lacks potential. i am saying that in its current state it is lame. Please tell me how this is going to be awsome???? IN ITS CURRENT STATE???? I agree with you but will give these people something to really think about when they are trying to argue. 1.) We do not have enough technology to have a truly flexible circuit boards, or more importantly the processors on them. 2.) The batteries in phones are now taking up almost half of the device and they are not flexible either! 3.) The body of current phones are also not flexible, and for most applications it is important to have a case to protect the screen, phone or not. 4.) Corning is working on their 'Willow Glass' that will be flexible and scratch proof (and hopefully crack proof) but it is not commercial yet. Until all of these components can bend with the screen, there are only a few important things we can learn from this advancement... The screens are going to be extremely thinner, which is good for making thinner phones. The display is no longer ridged, so it SHOULD be less prone to breaking due to a fall. And lastly, flexibility will most probably not make it to cell phones in the near future because it would be tough to deliver and not very useful. I had to give you a +1 just because of your avatar. With this technology, you can convert the 4.8" display Galaxy S4 into a 9" tablet. not gimmicky at all. imagine you dropping your phone, the only thing likely to break will be the digitizer(glass) but your LCD will remain intact. this will make your phone usable even after it is damaged and reduce cost of repair since you only have to replace the glass. Not much gimmicky, which is the most fragile phone part? The screen. If after breaking it I will just need to buy a new, less expensive piece of glass instead the whole touchscreen I'm in. Sounds to me like they figured out how to make them, just haven't figured out how to use them. Is Apple has flexible screen Patent?? Not yet, but they are about to apply soon after Samsung releases. So true.... Apple loves them some1st to patent items. Who cares if it has been on the market for 10+ years? That reminds me of an Eddie Izzard joke about the British explorers finding indigenous cities and claiming them for Brittan because they didn’t have a flag. to mkae true flexible phone...not only display but other parts should also be flexible...battery, soc etc. Well...to realize such a device...manufacturing process will have to be probably femto level...and huge improvement in battery tech is required so that entire board is finished in size of lower phone bezel...Its gonna take quite some time! 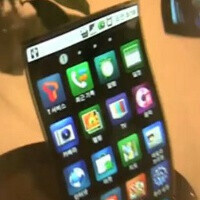 aceept it or not... the next samsung device with flexible display is going to be really expensive!!! i won't spend extra bucks just for the sake of unbreakable display.